Preschool Playbook: Are You Ready? 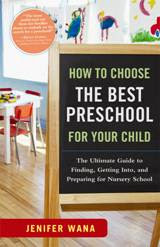 I just wanted to write a quick reminder out there to my readers that may have children ready for preschool. January is the month most schools are getting ready for registration for the following school year. At our school registration opens to present and church members the third week of January. We then open registration to the public on February first. Registration is very similar in the schools in our area. So if you are thinking of registering your child for the 2012/2013 school year, this is the month to be ready to go. Visit some schools, talk to some friends, and do some research. If the schools around you are anything like ours, their is a very good possibility they will be full by the end of the day February 1. Our 3yr. old class was full at 10:30 AM on February 1 last year. This is very timely information. We get so busy with the Holidays we sometimes forget to do the important things. Thanks for posting this.